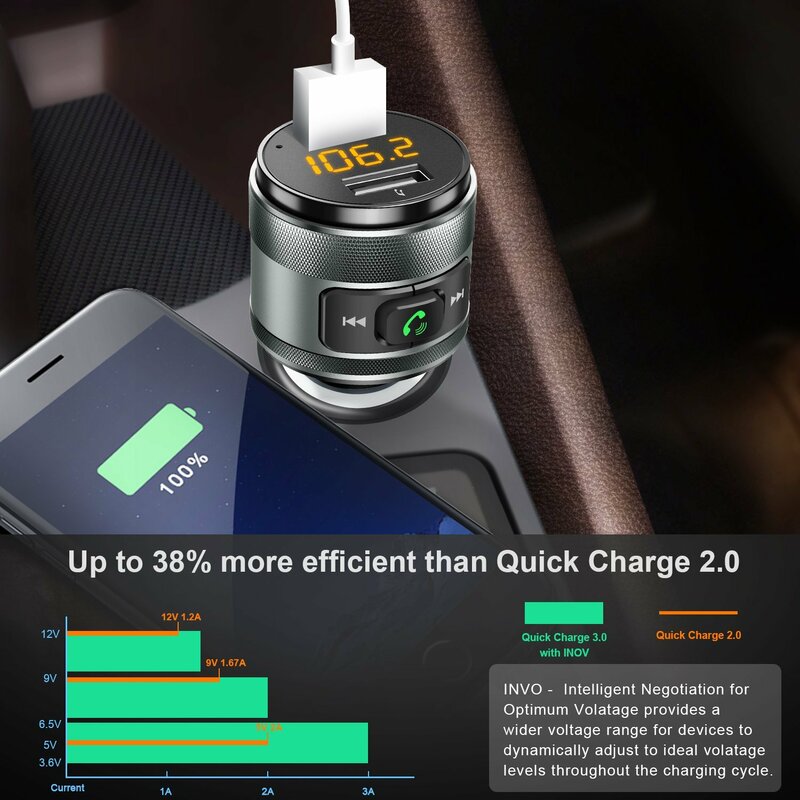 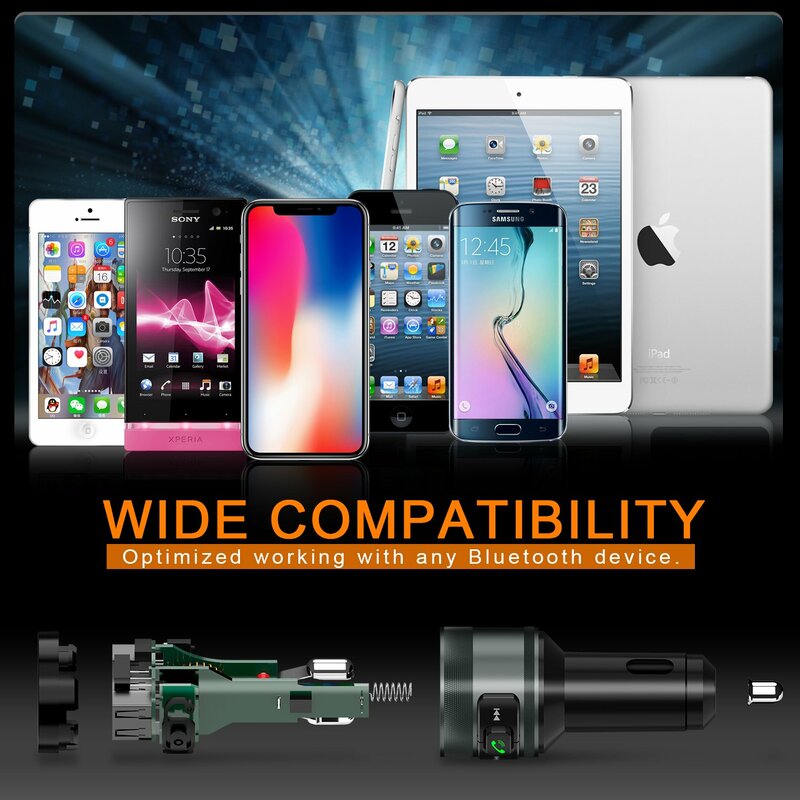 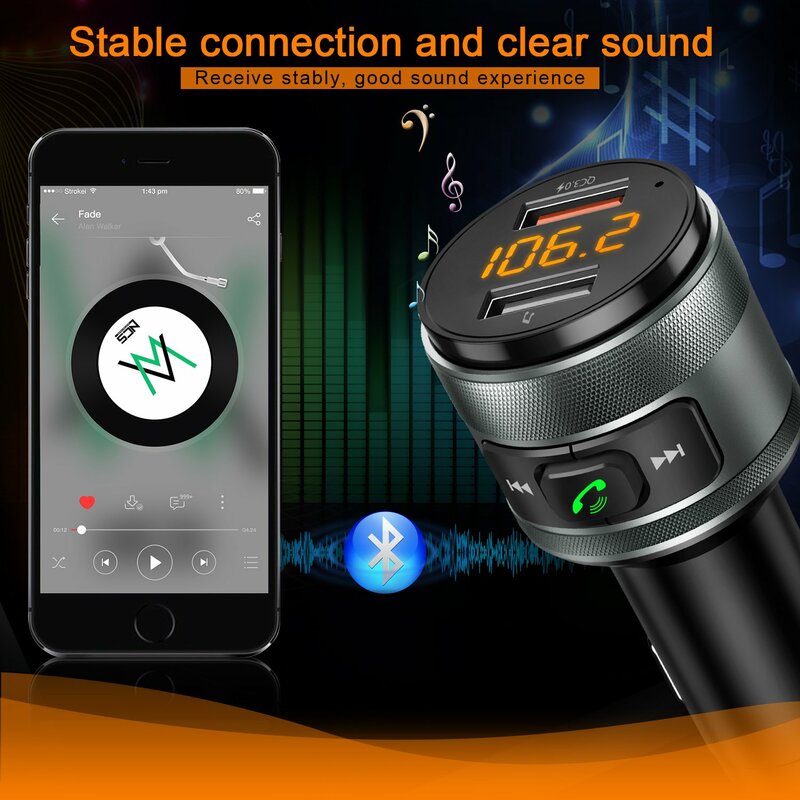 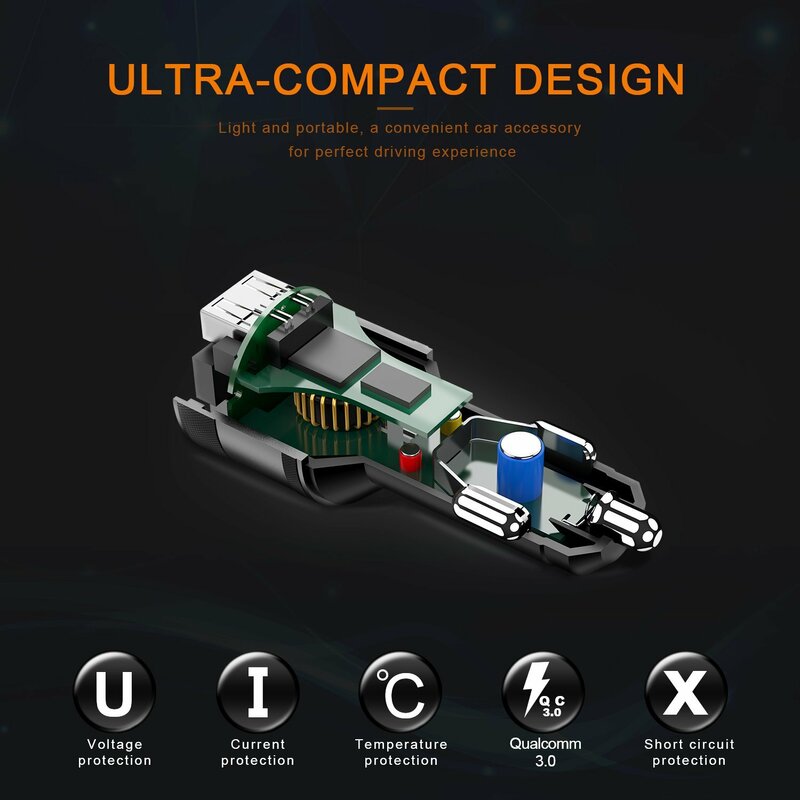 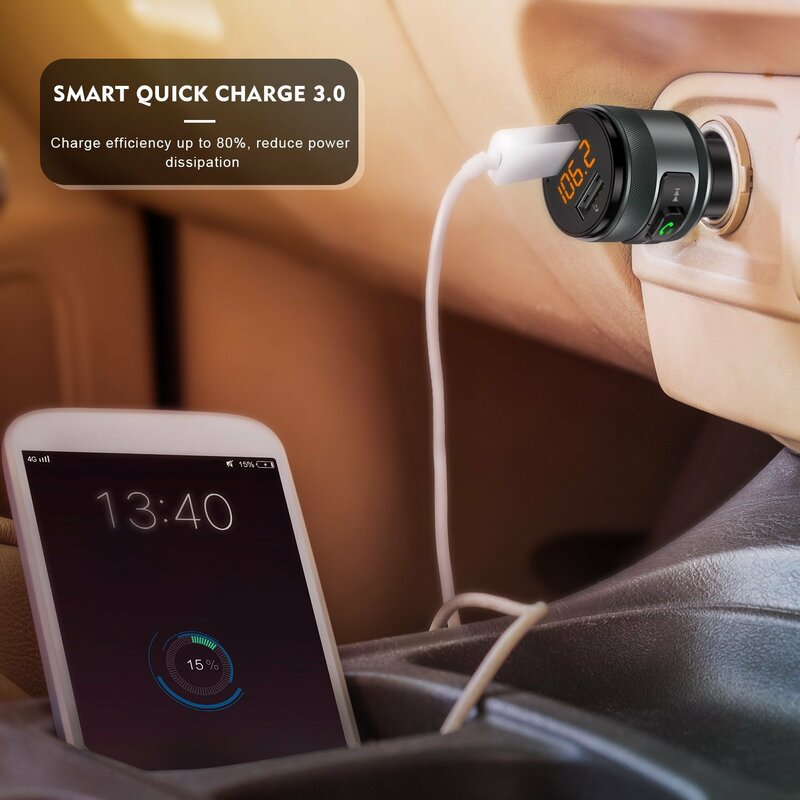 ♥2 PORTS USB CAR CHARGER & QC3.0 CHARGER: Support charging two devices simultaneously, one port is Quick Charge 3.0 port （compatible with: QC2.0, Hua Wei FCP, Type-C and Samsung.）, and the matching smart IC can automatically match the current. 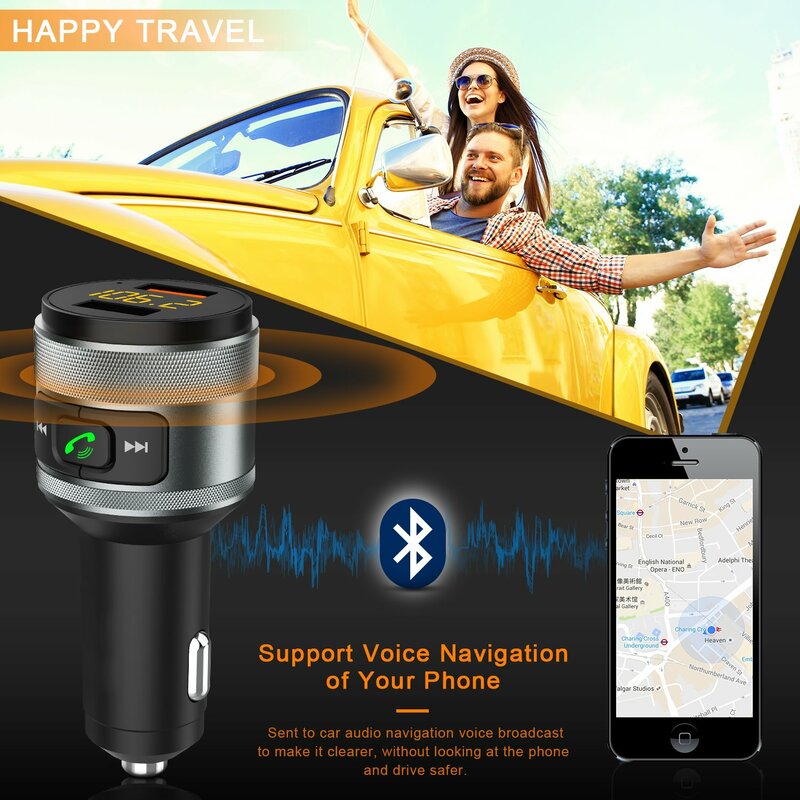 ♥ANSWER CALLS HANDS-FREE:High-performance microphone with Noise Suppression (CVC) technology, grants you crystal clear call. 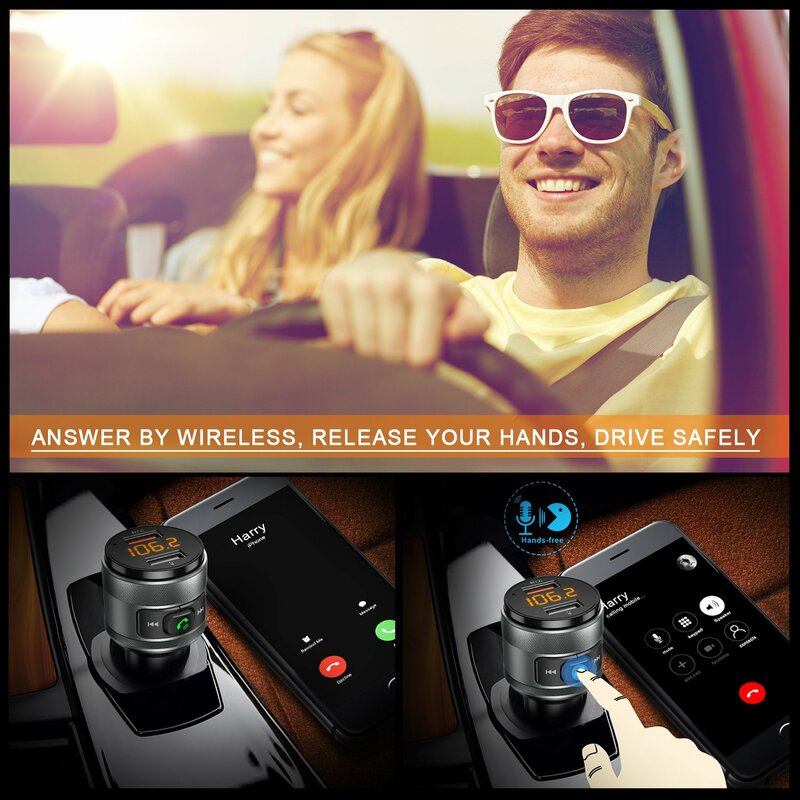 Answering/redialing/dismissing or ending call just simply click a button. ♥IMMERSE IN HiFi MUSIC: Insert a USB flash driver which contains MP3 files into the"RIGHT"USB port and enjoy it. 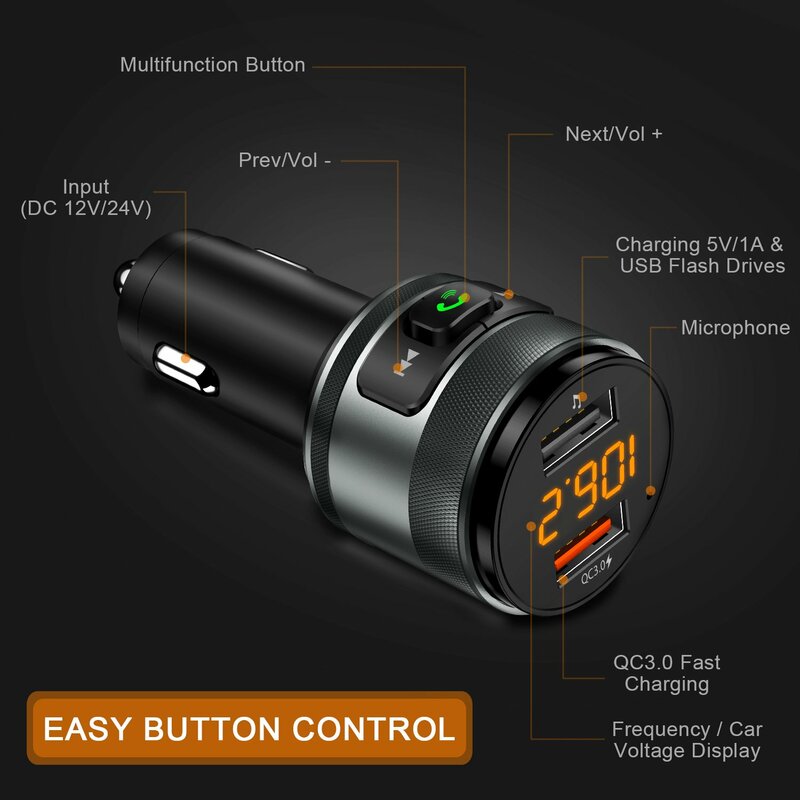 ♥MULTI-SAFETY PROTECTION: Comes with built-in over-current protection, over-voltage protection, intelligent temperature control, short circuit protection. 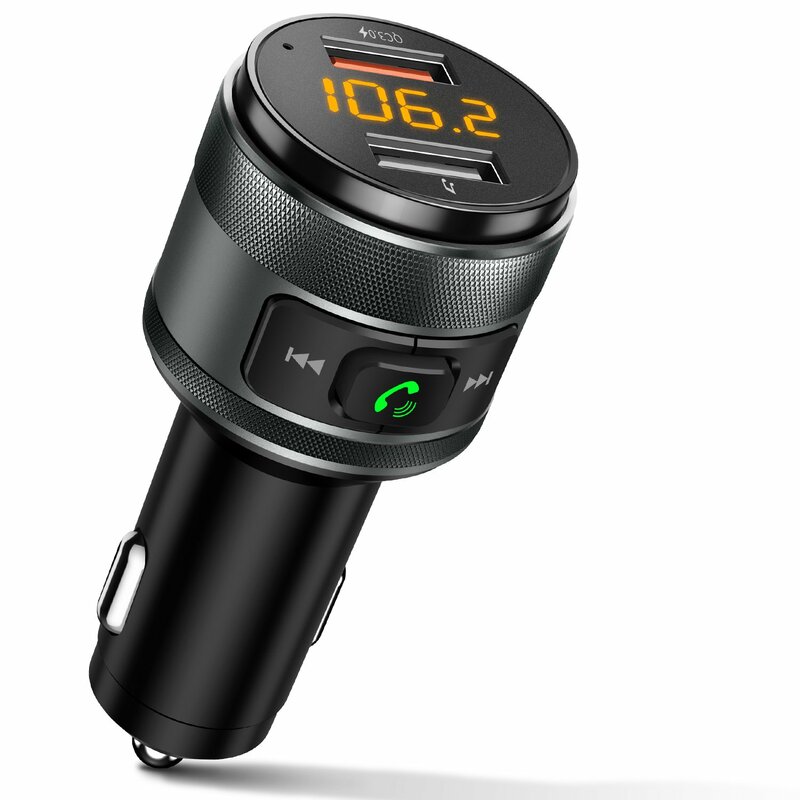 The FM transmitter effectively prevents multiple unsafe problems.